Advantages: Beautiful sculpting and attention to detail; good facial features, convincing uniform details; simple preparation and assembly; plenty of interesting aircraft pairing options. Conclusion: A very welcome accessory for all figure modellers and 1/32 scale Luftwaffe aircraft modellers in general. There can be no doubt that 1/32 scale modelling continues to grow in popularity. Whether the reason is the greater amount of detail offered, or the failing eyesight of the ageing modelling population, is not as important as the fact that people are actually building these kits. 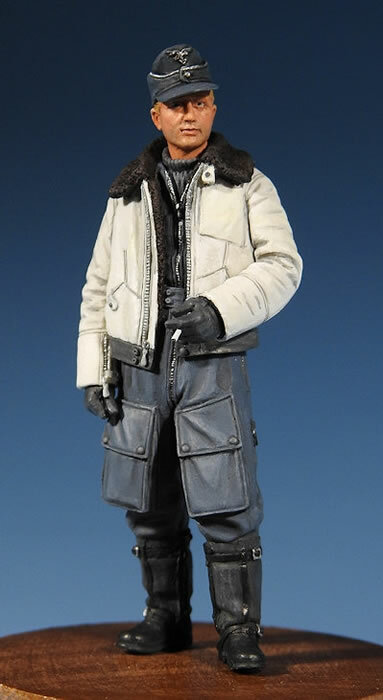 Ultracast has had a long commitment to producing high-quality and versatile WWII pilot figures over tthe years, almost anticipating the boom in this large scale. 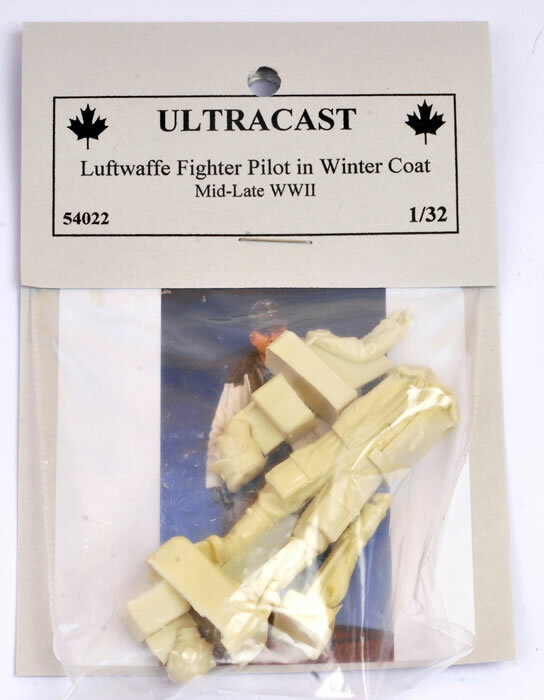 Ultracast now continues this series with their newest figure - a 1/32 scale Luftwaffe Fighter Pilot from the mid to late-war period, wearing a winter coat in a relaxed pose, holding a cigarette. The figure is broken down into five parts - the body, two arms, and two alternate heads. 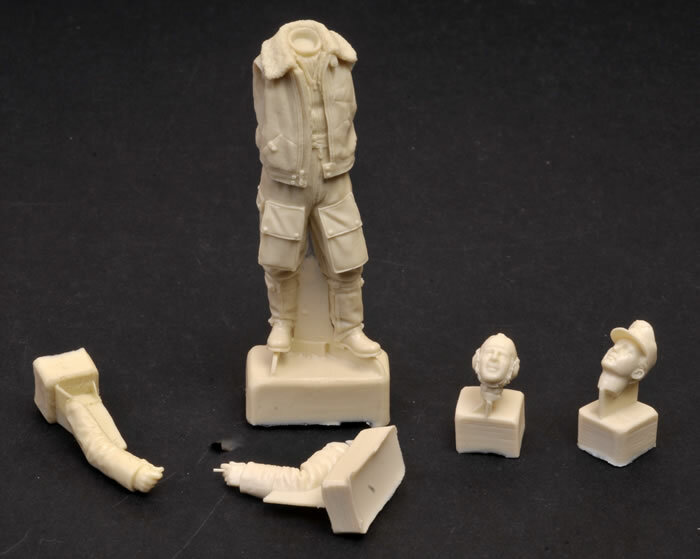 These parts are connected to their casting blocks via thin resin strips, which makes cleanup fast and painless. 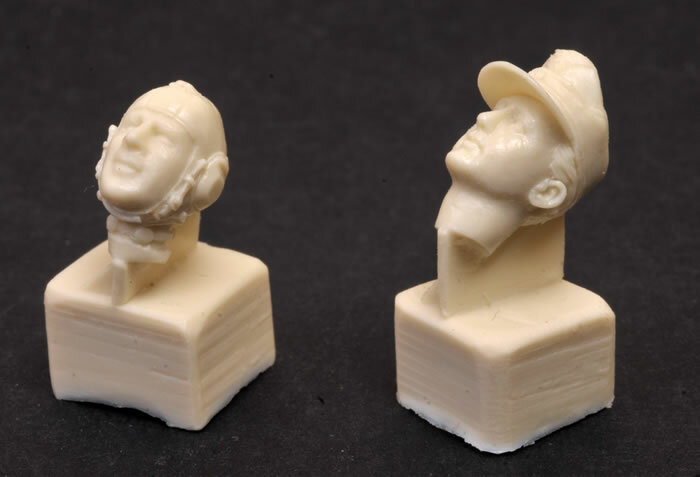 One of the heads is cast with the M43 Field Service Cap, while the other is wearing a flying helmet. 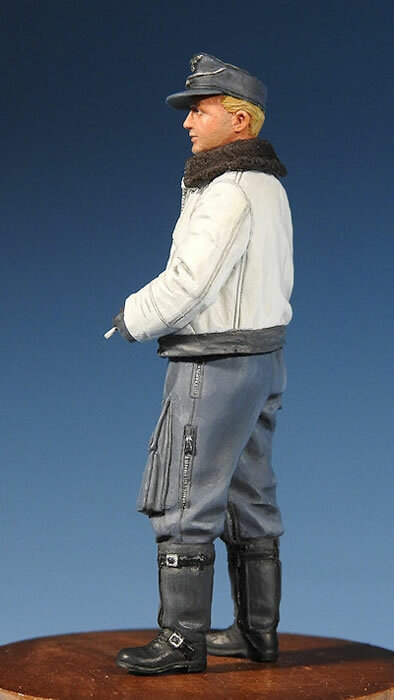 The pilot is wearing a one-piece flying suit with a turtle-neck jumper beneath and a sheepskin flying jacked on top. Facial features and fabric drape are very convincing. 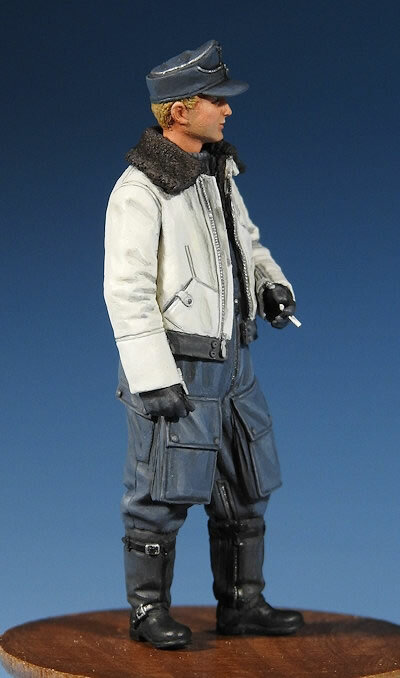 Ultracast's newest 1/32 scale Luftwaffe fighter pilot figure will be a welcome companion to a very wide range of German aircraft from 1943 onward. It will also be a very appealing subject as a standalone figure or in conversation with another ground crew colleague.